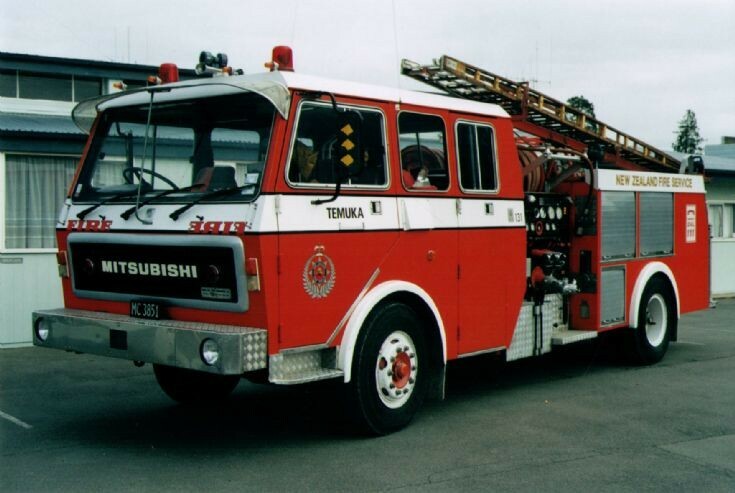 The last FP418JR to be built, this appliance was new to the New Brighton Volunteer Brigade but is pictured shortly after it arrived in Temuka. Added by David Miller on 26 September 2012. Added by Aaron Graham on 11 June 2013. What warehouse would that be? Any chance of getting to photograph it? Added by David Miller on 12 June 2013.